Nokia users can finally breathe a sigh of relief. The company is finally addressing its remaining devices for Android 9.0 Pie update. HMD Global’s CPO Juho Sarvikas stated that the upcoming months will see eight Nokia devices receiving the latest update. While phones like Nokia 7 Plus, Nokia 8 and Nokia 8 Sirocco already received the Pie update, other prevailing devices has also now officially got a date for their glory. Sarvikas also stated that the company is working hard on pushing the update in a shorter period; just like how they updated their phones to Oreo version. Phones like Nokia 5 and Nokia 3.1 Plus is expected to get the update this January, while Nokia 6, Nokia 5.1, Nokia 3.1, and Nokia 2.1 will see the update on Q1 2019. As for the early Q2 2019, Nokia 3 and Nokia 1 will have the taste of it. So what do you think about it? Do you own a Nokia device? 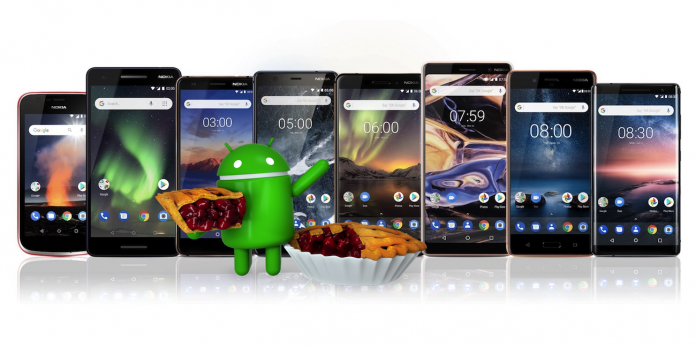 Are you happy that almost all Nokia phones will get the Android Pie update? Let us know in the comments.